so what if i had to bribe the oldest? ;) fab downtown photographer (adore pictures) had free santa pics walking distance from my house with model airplanes thrown in at good-bye. glad i checked them out. 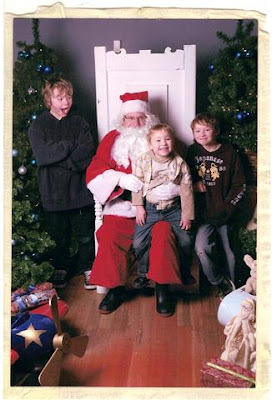 this is the best last all three boys in a santa pic ever.